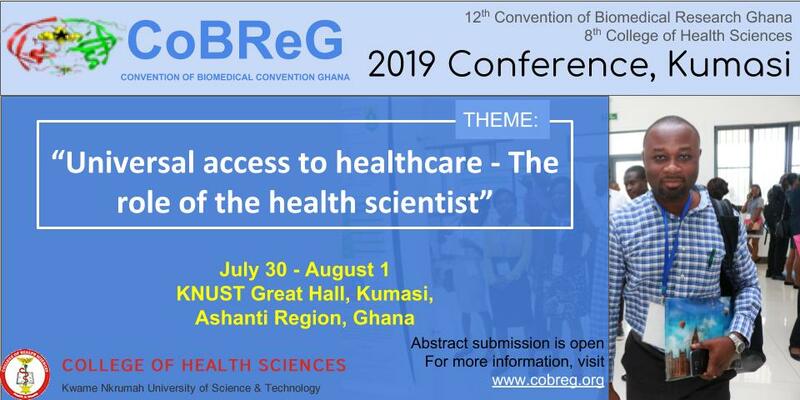 invites abstract submissions for presentation at the annual COBREG meeting from July 30 to August 1, 2019, at the KNUST Great Hall, Kumasi, Ghana. All abstracts can be submitted electronically using the REGISTER button below. Please note that you may also register for the conference without submitting an abstract but if you plan to submit, kindly, refer to the recommended guidlines for appropriate formats. There are multiple options available for payment of registration fees. Please refer to our page on registration fees.